How satisfied I am with my new vehicle. I really love my vehicle. I haven't had any problems with my vehicle at this time. Its very reliable, spacious and fits my whole family. I cannot wait to take her on a road trip. I wish I would've got a different color but I will not complain. Just want to thank the car lot where I got it from. The vehicle is a great ride but it it also has a smooth ride and has many safety features. 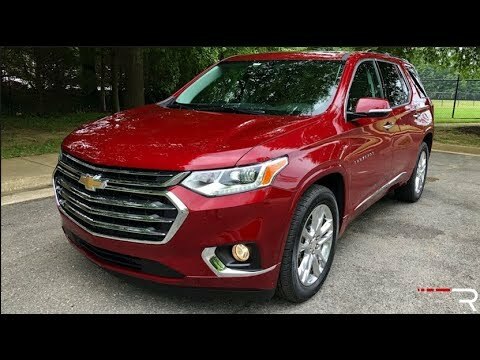 Our Chevrolet Traverse is a great vehicle. It is roomy for our two kids and also very comfortable for all passengers. It is a powerful vehicle with a great acceleration. It provides us with a smooth ride. We have only had the vehicle for a month but it has been a great vehicle so far. Traverse is the best vehicle my family has ever owned. I have no problems with my vehicle. My vehicle is amazing its very spacious. I would recommend it to all of my family and friends. It's a great family vehicle you can fit up to 12 people in it. It rides very smooth. It even has heated seats for cold days. I love my traverse.